CryptoKitties has been called Pokeman Go on Steroids and with good reason. The new distributed APP has inadvertently clogged up with Ethereum network, slowing down and cancelling transactions since the mania for purchasing, selling and breeding digital cats went viral in the past 24 hours. So far, $3million in ETH has been spent on trading and breeding the collectables with reports of 2000 outstanding transactions queued for processing. Last night the developers of CrypotKitties issued a warning about the rising cost of the ‘birthing fee’ of the kitties due to congestion on the network. Transaction fees were raised from 0.00 ETH to 0.015 ETH. While the developers of the game, Vancouver/San Franciso based AxionZen, sell their idea as an easy way to get to understand cryptocurrency, it was not expected that the game would become the biggest dAPP deployed on the Ethereum ecosystem, surpassing EtherDelta. The game itself has been compared to the popular tradable beanie babies except in digital format. At launch there were 100 original kittens, owned by Axion. Thereafter one new kitten is released every 15 minutes. These are all GEN 0 kittens. The price of each new kitten is taken from the value of the last kittens sold — plus 50%. New owners can then decide to auction on their kitten — setting a start and end bid like ebay. Or they may decide to breed — offering their kitten (gender neutral) as a sire for a price. If anyone accepts, then the offspring goes to the bidder while the owner of the ‘sire’ kitten earns the ‘cover’ fee. Each kitten has a different time to produce an offspring, from several hours to a week. The faster the gestation or ‘cooldown’ the more valuable the kitten as they can produce more offspring in shorter timeframes. The term kitten-farm springs to mind without the worrying animal welfare connotations. All kittens have their own genome with traits including colour and cooldown time. Currently these are hidden but may in time be displayed (if some bright spark can tackle that challenge). The easiest way to get involved is to install MetaMask as a Google Chrome Extension allowing users to directly interact with the Ethereum Blockchain. Watching the Cryptkitten Twitter feed there is a mixed response to the popularity of the game. Some followers extol the game as a way of teaching their children about cryptocurrency. 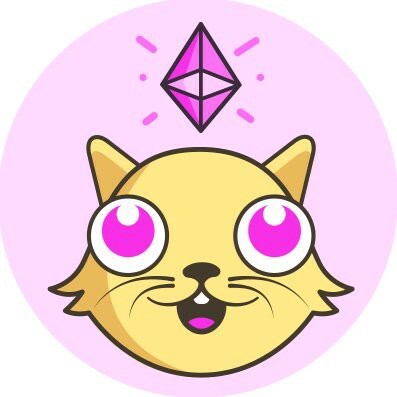 Others bemoan the use of blockchain and dAPPs to produce digital kittens. What about antonymous driving cars, advances in medicine or eliminating world poverty they ask.